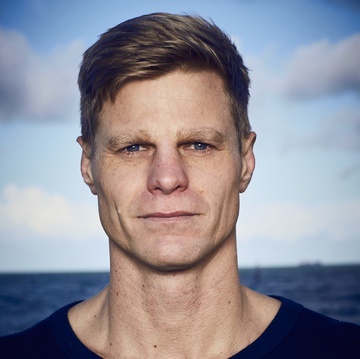 Boffins Books, Western Saints and The Game Sports Bar are proud to present Nick Riewoldt as he speaks about his book The Things That Make Us. Join us for this unique opportunity to meet one of AFL’s most respected players. $5 from every book sold (until 30th Nov. 2017) will be donated to Maddie Riewoldt Vision. Can't make it? We'll happily have a copy of Nick Riewoldt's The Things That Make Us signed for you. Simply click this link to download our order form, then return the form to the store via email, fax or in-person. Nick Riewoldt is a St Kilda icon. Yet his life off the field has had its share of controversy and tragedy - from the notorious stolen photo of Riewoldt that was posted on-line by a seventeen-year-old girl suffering mental health issues to the long-term terminal illness of his beloved sister and her death in early 2015. Nick Riewoldt is an out-and-out champion. He's also a man whose intelligence and insight allow him a deeply fascinating perspective on his life and career. The Things that Make Us is Nick's autobiography, and it's as powerful, interesting and compelling as the author himself. Nick Riewoldt is one of St Kilda's greatest and most-respected AFL players. He joined the club as the AFL's number one draft pick in 2000, made his debut for them in 2001, and has been the club's captain since 2007. Along the way he's won the Leigh Matthews Trophy as the league's most valuable player, won St Kilda's Best and Fairest six times, and been selected as an All Australian five times. 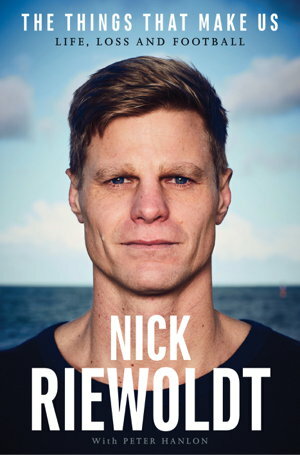 A percentage of proceeds of his autobiography are being donated to the bone marrow disease charity - Maddie Riewoldt Vision.